On Sunday, October 16, Jose del Rosario Brochero, the first saint born in Argentina, was canonized. What don’t know about Father Brochero? This question was the subject of ZENIT’s interview with the ‘gaucho priest’s’ postulator, Bishop Santiago Olivera of Cruz del Eje, President of the Episcopal Commission of Social Communication, on the eve of the ceremony of canonization. Q: What isn’t known about Father Brochero? Q: The gaucho priest is identified a lot with his mule, no? Bishop Olivera: When someone asks about Father Brochero, the people say: ‘he went around with his disgruntled mule, shack by shack,’ and it’s true, but in addition to that, he created schools, bridges, roads, retreat houses, aqueducts, etc. They were social activities that stemmed from his spiritual life, which was founded on a life of prayer. ZENIT: There is talk of the gaucho priest’s popular language. How true is it? Bishop Olivera: Although in these last times, Brochero’s figure acquired its true dimension, there was much legend about Brochero, many fables and commentaries because he had a very popular language. However, he never used bad words, but he did use more earthy expressions, but never an insult or double meaning. In other words, the gaucho priest was identified only as a simple person of little intellectual flair, forgetting that he had the intelligence to adapt his language and his message to the simple people to whom he was sent. And often that image of the earthy priest prevailed, forgetting he was pretty smart and intelligent. Bishop Olivera: In addition, he was a doctor and teacher of Philosophy in the Faculty of Cordoba; he studied with distinguished men, one of whom was governor of the city of Cordoba, another was a President of Argentina, who being his friends helped him to find the contacts that led, among other things, to the construction of the railroad. There is even a law that he obtained for the construction of a railroad in our land, which we hope will now be concretized, to join important villages, from Villa de Soto, Cruz del Eje to Villa Dolores. It was done to promote the regional economies and the sale of products and to help the northeast of Cordoba come out of poverty. ZENIT: With a university title, he could have had a post of more social prestige, no? 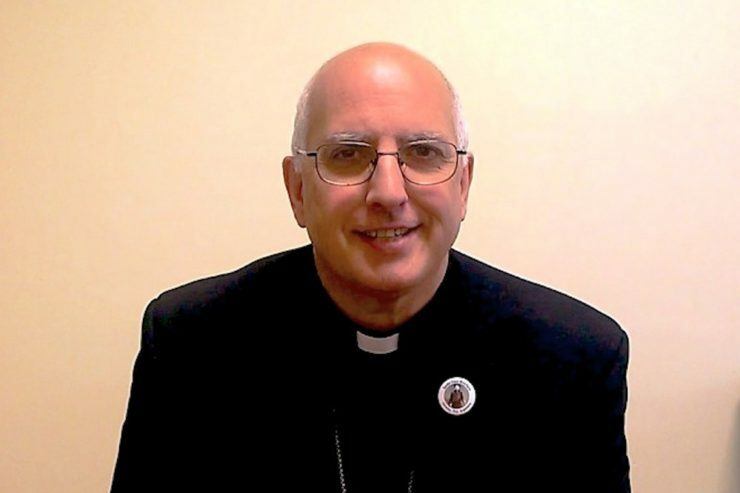 Bishop Olivera: Certainly, but for the fact that he was far from the idea of a career, he only wanted sanctity. He was a Canon of the Cathedral and he was in the Seminary, but he wanted to be with his village and his people, and he had the intelligence to adapt his language and to be creative in his pastoral care. So he understood that the men and women of his time would achieve the improvement of his curacy if they encountered Jesus, because the encounter with Christ transforms and heals realities. ZENIT: Why did he go to preach in such an isolated area, was he from there? Bishop Olivera: No, he was from the plains, from Santa Rosa of Rio Primero. After having him for three years as his priest, his Bishop sent him to that curacy, which was behind the highlands, where there was difficulty to communicate with Cordoba and with the rest of the country. When he crossed the highlands, he said: “There is everything to be done here.” The isolation of the area gave the possibilities to evildoers and bandits to hide here and indulge in vices and live a bad life. But Brochero said he wanted to change that area through Saint Ignatius’ Spiritual Exercises to seek, desire and follow the will of God. Bishop Olivera: Father Brochero put the homeland on his shoulders in his time. And this Saint invites us to reinforce the Pope’s request, and Father Brochero says to us with moral authority: ‘I put the homeland on my shoulders, you put it <also on yours>.” And he committed himself to the social improvement of his people, so that there would be roads, schools, water, the same possibilities for all and that all would have a fitting life.